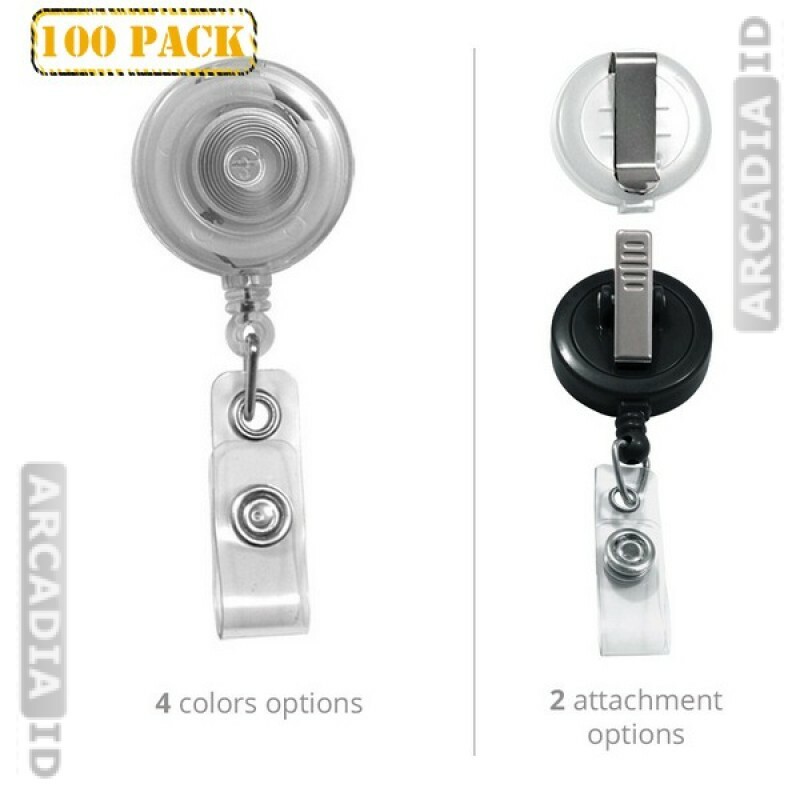 These are packs of 100 badge reels that often great value and a custom look. Choose the right color and attachment type for your organization so that your badge reels look the part and secure firmly to your uniforms. 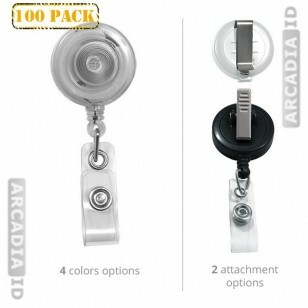 Browse the site for different types of badge reel in a range of quantities.